communicated with many reporters and with my students — even devoting classes to the Penn State case study and how NOT to approach a crisis. 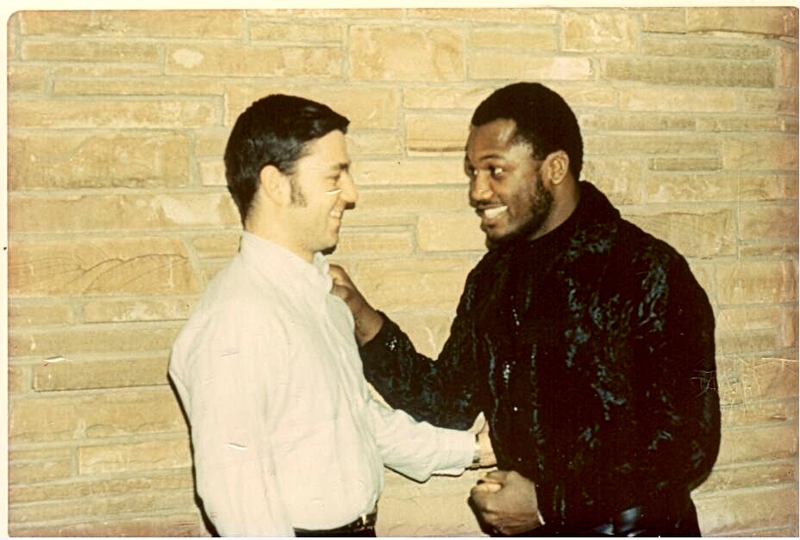 For this week’s blog, I will turn back to Smokin’ Joe. I first met him on Dec. 6, 1970. We remained acquaintances as I moved deeper into sports reporting. Back on that 1970 day at the Nevele Country Club in the New York Catskills, Champ honored me by joining me in a picture. He was there performing with his band, “Smokin’ Joe and the Knockouts.” [See link, below.] Joe was a far better boxer than musician. But he loved music nearly as much as he did boxing. In case you aren’t sure, that is Litwin on the left. May the Champ rest in peace.